So you’re thinking about learning to drive? You can drive a car when you are 16 if you get, or have applied for the enhanced rate of the mobility component of Personal Independence Payment (PIP). 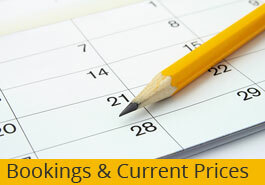 DVLA will confirm your details with the Department for Work and Pensions (DWP) and HM Revenue & Customs (HMRC). If DVLA can’t fully verify your identity, you’ll be told what to do at the end of the application. 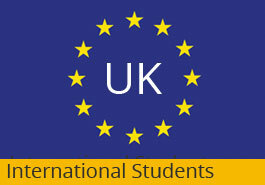 If you’re including non-UK identity documents send your application and payment to DVLA, Swansea, SA99 1AF. Why choose BeWise Driving School? If you choose BeWise Driving School to prepare you for driving on our busy roads, then you will become much better prepared to drive than you could be on your own. Practicing is fantastic with family or friends but you need to gain additional knowledge from an instructor, who knows what it takes to pass the test and knows how to teach you to become a safe and considerate driver. It’s all too easy to pick up bad habits from well-meaning family members but here at BeWise you will learn what it takes to drive correctly from the very beginning. All our instructors are fully qualified ADI’s, that is, Approved Driving Instructors and will have displayed in their car a DSA, Driving Standards Agency, approved badge that verifies that they are suitably qualified to teach you. We also have comprehensive Insurance, just in case there’s any mishaps. All our cars have dual controls, great for reassuring the more nervous student. This means if things get a bit tricky your instructor can help at any given moment and bring the car to a stop or help with the gear changes in the early days. We understand the pressure to learn a new subject and we know just what it takes to pass the theory test. We will help you prepare in the run up to your theory test and guide you in purchasing the appropriate booklets and online mock tests. 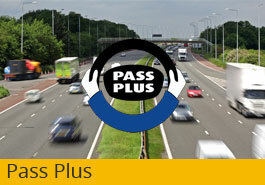 Pass Plus – a 6 hour post driving test course designed to help pupils gain confidence in their driving, and in conditions that maybe they were not able to encounter during their lessons. It also includes a very comprehensive Motorway lesson which covers most types of Motorway conditions that may be encountered in the UK. Every pupil will receive a progress record and a training report form. All Pass Plus training must be taken after passing your test within one year, and is mainly aimed at new drivers after passing their test. Your Pass Plus may be kept on hold for two years. Why should I bother passing this? As the pupil has completed six hours of training the progress record and training report will be sent to the DSA. The DSA will send the Pass Plus certificate to the student with attached motor insurance who recognize a Pass Plus course for discounted car insurance. Two hour lessons are far more productive than one hour lessons. You will learn and retain more of the lesson if you book this way. Intensive lessons are also on offer for those wishing to fast track their learning and pass quickly. You will begin by learning the basics of driving and the basic rules of the road as well as what all road signs mean. You will master all the controls, turning left and right from major to minor road, and very quickly you will become very comfortable behind the wheel of your car. The DSA suggests 45 hours with a driving instructor and 25 hours in your own, friends or family car. Remember this is only a guide, it does depend on your aptitude and learning capacity. Here at BeWise we do mock tests which will give the instructor and yourself an idea how you will cope on your practical driving test, and a chance to rectify any problems in your driving. We will only recommend you take your test when we think you’re ready to pass. That is when you meet the high driving standards set by the Driving Standards Agency. We don’t want to put you forward for the test, just to see you fail. That would be a waste of time and money. We believe the greater the variety of situations you get to drive in while driving under supervision, the better range of skills you will develop. All of these skills will add to your experience and make you a much better driver once you get out on your own. Some situations that will help your driving include lessons in the rain and at night. Both rain and darkness make driving much more difficult and learning in these conditions will intensely add to your overall skills and confidence. Nothing is scarier than driving in the rain for your first time with no experience and being all alone. You could panic and make very bad decisions that could even cost you your life. Learning safe driving, even in dangerous conditions, is essential to being a well-rounded safe driver. 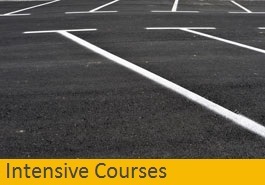 Our instructors will take you through step by step all the other essential skills you will need when driving, like making a turn in the road, parallel parking, reversing to the left on sharp and sweeping corners, driving into and reversing out of parking bays from both sides, emergency stops and so on. At first all these things will seem tricky, but with plenty of practice and the help of our instructors you will quickly master them, leaving you confident when you are driving to make the right decisions in potentially dangerous situations. 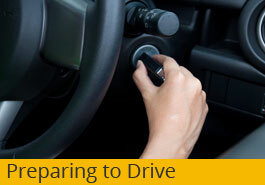 Let Bewise Driving School equip you with all the skills you need to get driving on your own!